The Power Engineered MOAB Bat is designed with an end-loaded weight distribution for the power hitters in mind. 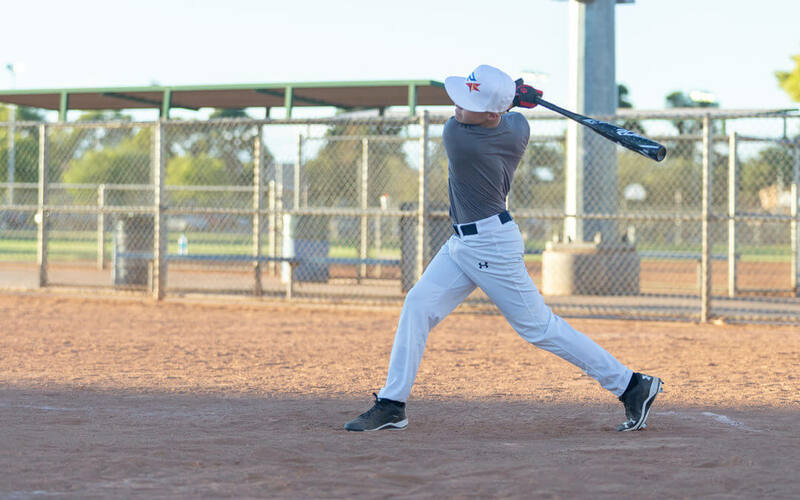 The weight distribution allows for a faster, more powerful swing that knocks ‘em right out of the park. The Power Engineered bat is ideal for players between the ages of 8 and 13 years old and comes in a variety of sizes including 32 inch/ 27 ounce; 31 inch/ 26 ounce; 30 inch/25 ounce. The barrel on these bats is 2 and 5/8 inches. The moderately balanced Speed Engineered MOAB bat is made with the line drive hitters in mind. The balanced swing allows for consistency when hitting singles and doubles up the middle and in the outfield. Just like the Power Engineered MOAB bats, these also come in a variety of sizes: 32 inch/27 ounce; 31 inch/26 ounce; 30 inch/25 ounce. The barrel on these bats is 2 and 5/8 inches. Although batting styles and technique vary greatly from player to player, the bat that each individual player uses can help tip the scale a little. It’s simple physics: bat weight, swing speed, and ball velocity are all contributing factors when determining where and how far the ball will go, right? For example, the moderately balanced Speed Engineered MOAB allows for better control so a batter can find consistency when trying to keep the ball’s trajectory low. On the other hand the Power Engineered MOAB has an end-loaded distribution that allows batters to get a ton of POP when they make contact. The interesting thing is that there is so much crossover between “power hitters” using the Speed Engineered bats and vice versa. The reality is that you may just have to try both out and see which works best for you! Which MOAB do you prefer for your batting style? Are you a bigger fan of the 2019 USSSA Speed or Power Engineered MOAB? We want to hear from you! Contact us today to demo the new 2019 line of MOAB bats.